← What About the Children Who Want to go to College? Brendan Kennedy (pictured above, right) is not afraid. The man who heads Privateer Holdings – a cannabis focused private equity firm – has put his years of education and experience on the line to help shape the future of the cannabis industry. With the support of a management team full of seasoned professionals, Privateer has raised $82 million in pursuit of pioneering the impending business of big marijuana. Privateer’s quest for global dominance began in Canada, where they purchased a full-scale medical marijuana company called Tilray. In Canada, provinces are free to make marijuana-related laws without any conflict with Canada’s federal government. Unlike the United States, this means that marijuana companies are able to conduct extensive research into medical treatments, grow their product with the finest practices, and put their cash into banks. These types of benefits have allowed Tilray to accumulate a patient base of over 4,000 and growing. Outside of Canada, Privateer owns Leafly – a website and phone app that allows users to rate and review different strains of cannabis and cannabis dispensaries. Known as the “Yelp of pot,” Leafly is responsible for upwards of 3 million visitors a month and a $425 million valuation. Going global or even interstate is no easy task in the marijuana industry. Confusion, vagueness, and difficulty are born out of poorly written regulations and unique issues that have no precedent. However, the progress Privateer has made is largely due to its stalwart practice of looking for answers in the fine print of the law. To make it big, Privateer makes great use of intellectual property (IP) – patents, trademarks, copyrights, and licensing. To summarize, IP and licensing are tools for businessmen to protect their creations, justify research and development, and expand their businesses to reach new heights. As opposed to a tangible object such as a house or car, intellectual property protects intangible property such as creations of the mind, and these IP rights allow the owner to exclude others from using their piece of IP. In ultra-competitive industries like oil & gas, pharmaceuticals, and electronics, IP enjoys relatively straightforward rules and regulations for obtaining and enforcing rights. As for the marijuana industry, it’s not that simple. Let’s examine. First, one of the most well known types of Intellectual Property is a patent. A patent is a bundle of rights granted by the government to an inventor, giving the owner the right to exclude others from making, using, selling, offering to sell, and importing an invention for a limited period of time, in exchange for the public disclosure of the invention. By providing inventors the prospect of an exclusive right to an invention, patents encourage innovation and safeguard research and development costs of creating new technology. Patentable inventions include machines, pharmaceuticals, electronic devices, and the more natural variety – plants. From a botanist’s or even ganjapreneur’s perspective, this type of information begs the question: What if I wanted to patent a marijuana strain? If you want in depth legal analysis and policy perspective on this question, click here. If you want more of a big picture analysis, keep reading. In theory, the USPTO could grant these sorts of strain patents because nothing in the federal law of patents expressly bars patent protection for illegal substances such as marijuana. 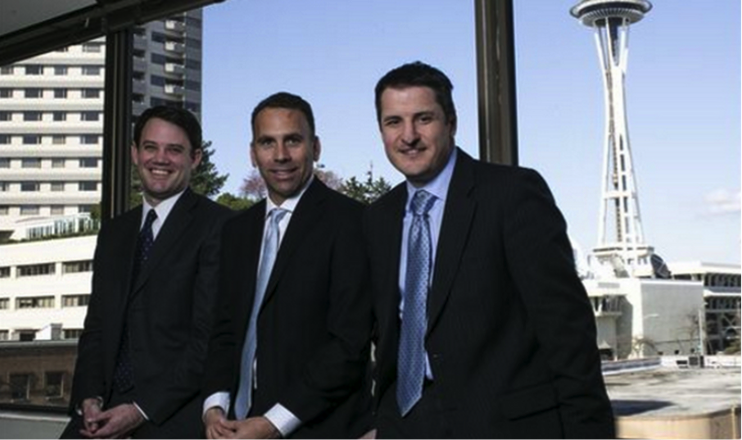 There are even specialized law firms that claim they will help their clients through this process. However, the United States Patent and Trademark Office (USPTO) has not yet decided whether they will issue patents on marijuana strain varieties. This question may be answered soon, as there are several marijuana strain patent applications that are currently on file at the USPTO. As a side note, if the USPTO did grant you a patent for a cannabis strain, enforcing it through the state and federal court system is another whole issue entirely – one that is even more difficult to predict and answer. This is because state and federal courts could be entitled to different opinions about how the law should apply to this type of issue. Stay tuned for more on this subject. The safer option might be to seek patent protection for ancillary marijuana technologies such as vaporizers or botanical technology that aids the growth of cannabis plants. Patents of this “paraphernalia” variety have made their way through the USPTO and been granted. The prospect of spending thousands of dollars to ultimately have a cannabis related patent application rejected may be too risky at this point in time. Fortunately, there is something much cheaper and easier to obtain that may very well be the solution to the shortcomings of marijuana patent law – a trademark. Once again, if you want in depth legal analysis and policy perspective on this subject, click here. If not, keep reading. In general, a trademark is recognizable sign, design or expression which identifies products or services of a particular source. The purpose of a trademark is twofold – first to protect investments in marketing and advertising for a particular product or service, and second to protect consumers by ensuring that they know what they are getting from a particular brand. Trademarks are generally much cheaper (thousands of dollars less) and easier to obtain than patents, and, if used correctly, can be equally as valuable. So, it seems, anyone filing for cannabis related trademarks with the USPTO would be denied. However, a case study of Marley Natural proves differently. A quick search of the USPTO trademark database shows that Marley Natural has been awarded three different trademarks in late 2014 for the products they plan on selling this coming year. Although Marley Natural has yet to sell a product, their website products page claims that they will be selling cannabis and hemp infused lotions and balms, accessories and hand crafted limited edition products, and their own “heirloom” cannabis strains. Marley Natural’s awarded trademarks compared to the products they plan on selling seemingly afford federal trademark protection to all of their products except one – “heirloom” cannabis strains. However, if someone were to start selling cannabis strains under the “Marley Natural” designation, even without a trademark, Privateer still might have a claim for infringement. The standard for trademark infringement is whether there would be a “Likelihood of confusion among an appreciable number of ordinarily prudent purchases in the relevant market” Sleekcraft. Courts look to an array of factors to decide what “likelihood of confusion” entails, including “likelihood of product expansion” – finding infringement where there is a likelihood that the disputed product lines will collide & create confusion in the future. Because Marley Natural owns trademarks for similar products that will be marketed in the same industry as their heirloom cannabis strains, Marley Natural might have a valid infringement claim if someone were to try and steal their mark. However, the “likelihood of confusion” balancing test depends on more factors than just “likelihood of product expansion,” and it is unclear if federal courts would extend this type of protection to a substance that remains federally illegal. Fortunately for Marley Natural, the USPTO is not the only solution to protecting a brand. While patents are exclusively registered on the federal level, most states afford statewide protection for marks that are filed with their respective secretaries of state. In recreational states like Colorado and Washington, a trademark seeker can pay less than $60 to obtain statewide protection of their mark. Interstate companies like Marley Natural can file a trademark for their cannabis strains in each state they plan on operating in to protect the integrity of their brand. Although not ideal, this type of legal patchwork is just part of doing business in the marijuana industry. Privateer and its subsidiaries understand what it takes to protect their ideas and developments from competitors. But their real genius is in how they leverage their intellectual property to destroy the competition and expand their business. One of their best legal weapons is brand licensing. In general, brand licensing is the process of creating and managing contracts between the owner of a brand and a company or individual who wants to use the brand in association with a product, for an agreed period of time, within an agreed territory. In the marijuana industry, brand licensing is one of the most viable ways to expand across state lines. Pretend that Marley Natural begins selling its products in the recreational Colorado market. To abide by Colorado law, the marijuana that Marley Natural uses to manufacture its products must all be legally cultivated in the state of Colorado. To expand their business to the state of Washington, the most logical thing to do would be to transport their products via mail or freight from Colorado to Washington. However, Section 812 of Title 21 of the U.S. Code classifies marijuana as a Schedule I Controlled Substance. Because the U.S. Constitution gives the federal government authority to regulate interstate commerce, it has the ability to prosecute individuals for transporting marijuana across state lines, even if the transport is from one legal state jurisdiction to another. The problem is figuring out how to get their products, which are manufactured in Colorado, to the state of Washington – or some alternative. A solution to this problem is licensing. Marley Natural may not be able to use their Colorado cultivators and suppliers to help produce their Washington product. However, if they own a trademark for the Marley Natural brand in each state, they can license it to a separate business entity in Washington that is qualified to manufacture cannabis products in that territory. 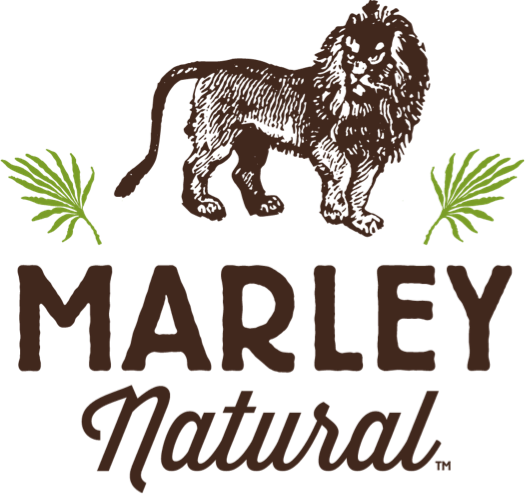 Marley Natural can dictate via licensing agreement how the Washington product using the “Marley Natural” name is to be produced, packaged, and sold. Additionally, they can offer consulting services to the Washington subsidiary to teach them how to manufacture their product and manage their business. The “heirloom cannabis strains” sold under the Marley Natural brand in Washington might not be the product of the same growers and greenhouses that are used in Colorado, but this alternative is one of the best available for marijuana businesses planning to expand interstate. So let it begin. Thanks to intellectual property and effective legal techniques like brand licensing, the nationalization of the marijuana industry is imminent. Navigating the complicated legal landscape of the rules and regulations surrounding the marijuana industry may be difficult, but having the know-how to proceed with confidence could ultimately be the difference between failure and success. Stay tuned for my next article on investing in the marijuana industry.